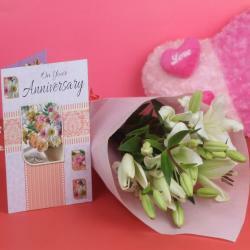 Product Consist : Bouquet of 6 White Liles along with Birthday Greeting Card. There is something special about lilies, especially when they are combined with birthday card to make their day more special. 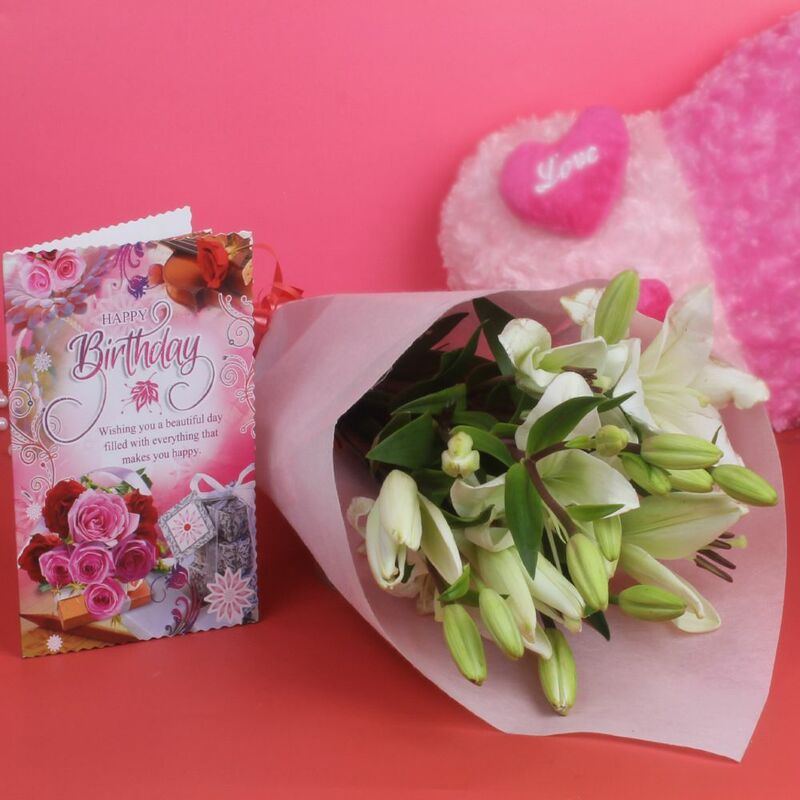 These impressively bunched 6 white lilies and birthday card will for sure let your recipient know you are thinking of them in a beautiful way and always want only the best for them. While white variety can dress down to genuinely express purity and sympathy. The combination will convey the message the receiver will want to hear from you. 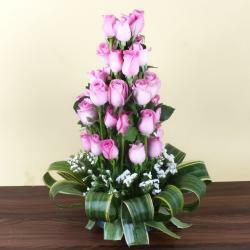 Lilies are known for their striking blooms which are pleasing for your eyes and heavenly scent which soothes your soul. 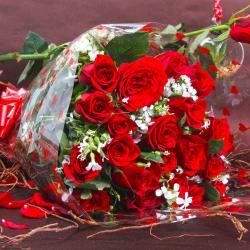 Order this fantastic bouquet, which is a perfect choice for a number of occasions, online with a click of a button from Giftacrossindia.com which is India's first gift discovery platform. 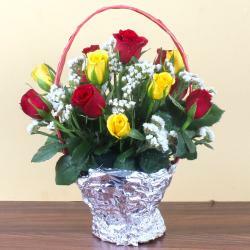 Product Consist: Bouquet of 6 White Lilles along with Birthday Greeting Card.